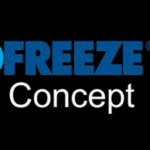 We are developing cryogen-driven solutions for our customers, improving quality, performance, and reliability in their parts and equipment. Offered services and systems include cryogenic deflashing and deburring, dry ice blasting, cryogenic treatment, and part-enhancing cryogenic processes. Discover our offerings below or contact us directly.